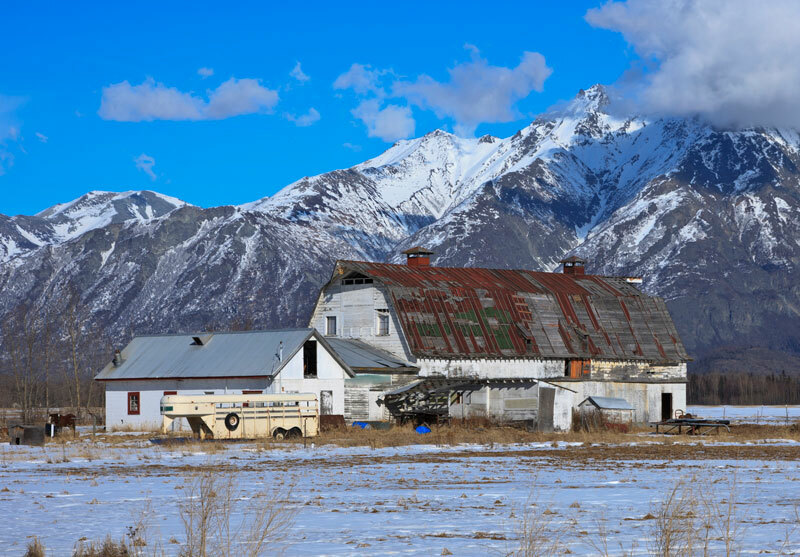 The magnificent Parks-Archer barn which sat on the south side of Bodenburg Butte is gone now, another loss to Matanuska Valley history, but it was included in my 2013 book on the Matanuska Colony barns (see below for ordering). 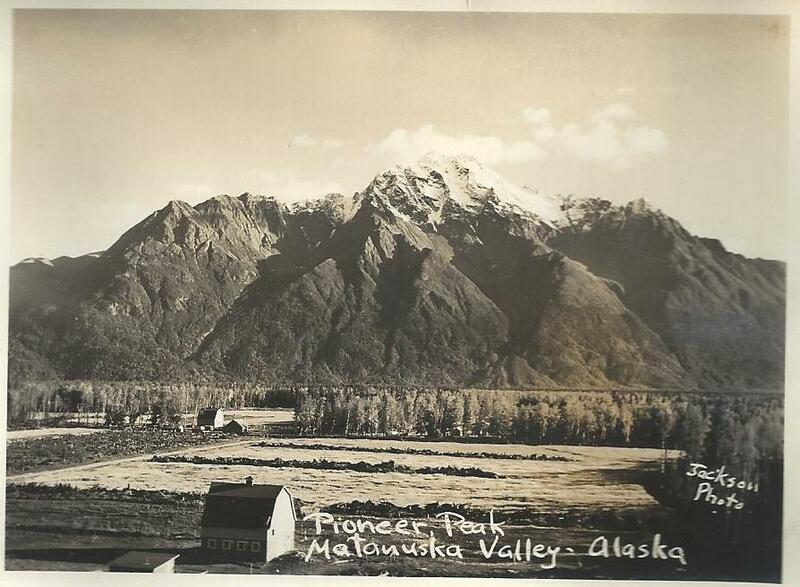 Comprised of two Colony barns moved together, it was a Valley landmark for decades. 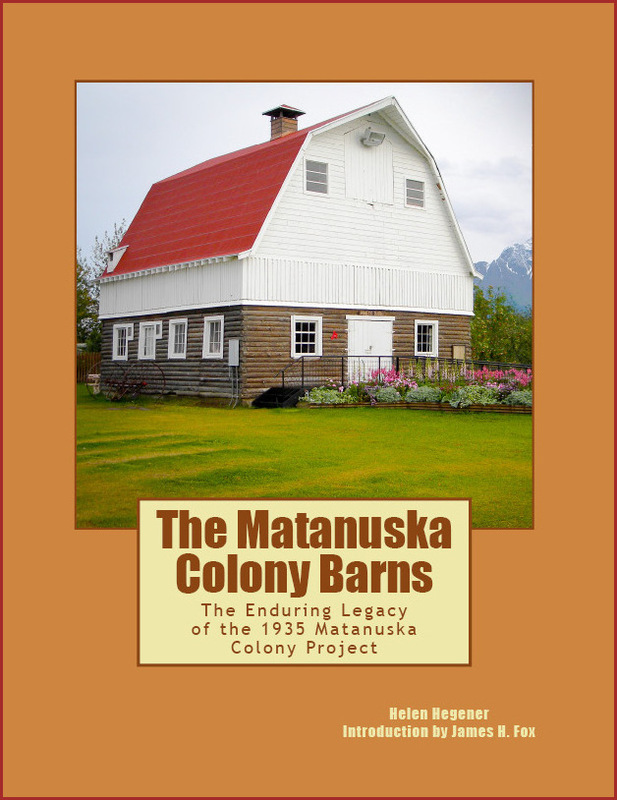 • The Matanuska Colony Barns: The Enduring Legacy of the 1935 Matanuska Colony Project, by Helen Hegener, photographs by Eric Vercammen, Stewart Amgwert, Albert Marquez, Dave Rose, Joanie Juster, Ron Day and others. Foreword by Barbara Hecker. Introduction by James H. Fox. 140 pages, full color. ISBN 978-0-9843977-4-7. Includes Colonist families listing, maps, bibliography, resources, index. • Locally the book is available at Fireside Books and the Colony House Museum in Palmer. 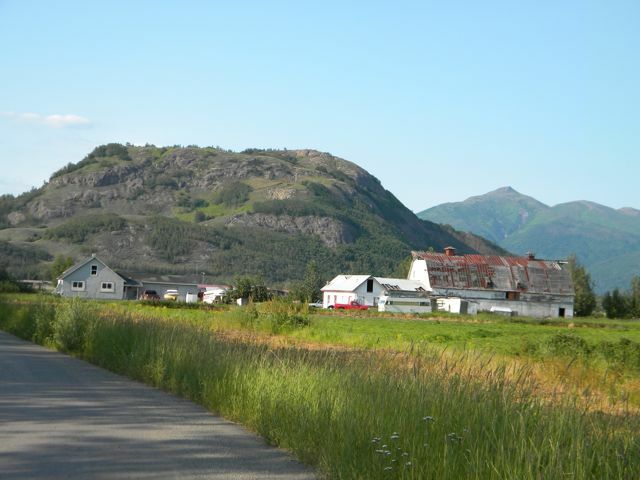 This entry was posted in Books, Colony Barns, Matanuska Colony, Matanuska Valley, News & Information and tagged Alaska, barns, history, Matanuska Colony, Matanuska Valley, Palmer, The Matanuska Colony Barns. Bookmark the permalink. Helen Hegener, thanks! And thanks for sharing your great posts every week! Helen Hegener,thanks so much for the post.Really thank you! Keep writing.